Get your appetite for fun ready: memories are on the menu. 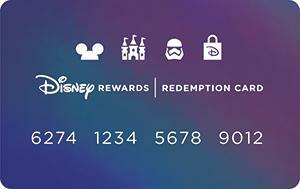 Throughout Walt Disney World® Resort and the Disneyland® Resort, Cardmembers save 10% off select dining locations most days (alcohol excluded) when they pay with their Disney Visa Card.2, 3 We’ve brought all of these delicious and delightful options together into one master list to keep handy as you’re planning your next vacation. Whether you’re searching for a uniquely-themed backdrop for a family gathering, or a delectable dessert to remember for years to come, we’ve got your guide to all the savings that match your cravings. The celebratory soul of New Orleans is in every bite at this quick-service eatery where spicy and saucy dishes can be enjoyed al fresco amongst the lush greenery of the patio. The “belle” of Frontierland overlooks the Rivers of America so guests can wave at the Mark Twain Riverboat as they enjoy Southern-style frontier fare sure to satisfy an adventurous (and hungry) heart. Grab a seat on the Pacific Wharf waterfront and enjoy fast, fresh Mexican fare (maybe even with a margarita or two) with Mickey’s Fun Wheel smiling across the lagoon. Step above the excitement of Disney California Adventure® and into the shade of a lush trattoria inspired by the tranquil green landscapes of Northern California’s wineries. Grab a skewer of lean, fresh Mediterranean treats to savor while you explore the boardwalk at Paradise Pier, or sit and enjoy a whole platter of flavorful sides from this exotic stop. Let your imagination roam as far as your appetite in this classic California setting, and become storytellers yourselves as you make memories with Characters over a delicious breakfast buffet. Step back in time to the heyday of Old Hollywood in this elegant steak and seafood house named after the year Disneyland® opened. Listen closely in this casual, beachfront-and-bonfire inspired buffet and you can almost hear the waves… and if you come for breakfast, you can certainly wave at Characters who have come to meet you! This buffet-style restaurant, designed to resemble an African marketplace, features cuisine from 50 different African countries, so let your families’ appetites run wild and save room for seconds! There’s something for everyone at this African themed restaurant with Indian cuisine influences, including stellar views of savannah wildlife roaming just outside the windows. Vibrant cuisine, exotic spices, and a breathtaking atmosphere give you an unforgettable dining experience a short stroll from African wildlife in natural habitats, all while wood-fired ovens cast glowing colors that evoke a Savannah Sunset. Clear eyes, full plates, can’t lose! Sports fans can cheer as they chow down on classic American fare while watching games on nearly 100 video monitors. Fly into a gourmet seafood experience where “delicious” is in the details, from clever twists on classic dishes to a handpicked wine list to send each course soaring to the next level. Modern designs make guests feel like they’re walking through waves while the menu features rad twists on American classics at this family-friendly restaurant that kicks off the day with a breakfast buffet. Frontier theming transports diners back in time to the Old West while serving up bountiful plates of American comfort food like your great-great-grandma used to make. Come as you are and bring the whole family – and your appetite – for this elegant restaurant with Victorian flair, complete wth a rose garden just outside the windows. This highly-rated date night destination combines the atmosphere and wine list of a Mediterranean vineyard with the energy and imagination of a modern kitchen. Spectacular views around this waterfront locale offer a feast for the eyes while guests feast on innovative coastal cuisine. The island spirit of Key West flows through this quaint spot that offers home-style cooking for the family, including sweet desserts. An island flourish and colorful décor set the stage for sushi prepared before your eyes, plus seafood options and American classics adorned with South Seas flavors. Southern-style soul food will aways spice up the night here within a lively and entertaining dining hall lit by lantern-light. Sophistication is the name of the game in this cozy clubhouse complete with billiards and a golf course view away from the hustle and bustle of the main Resort. Panoramic views, rustic craftsmanship, and National Park memorabilia make this a “natural” choice for an exceptional experience of Pacific Northwest cuisine. Gastro pub ambience with New England-inspired comfort food. Enjoy the on-stage “hearth” oven of this warm and inviting space reminiscent of an off-shore lighthouse with rich salvaged materials and strong decorative finishes. Go from a view of the beach to front-row seats at the buffet as New England-style seafood gets served up in this sunny locale. This Los Angeles-influenced eatery is not just dedicated to famous characters: you can meet them, too, visiting tables during breakfast and lunch buffets. Step into golden-era Hollywood glamour in this replica of the world-famous Los Angeles landmark restaurant and dine on an extravagant meal worthy of its own red carpet. German cuisine and culture make the signature restaurant of the Germany pavilion a constant celebration on par with Oktoberfest. The only thing more incredible than the seafood and American cuisine on the menu is the view of The Seas with Nemo & Friends’ living coral reef and marine life. Enter the warm and welcoming “cellier,” or cellar, of a chateau-style dining room in the center of the Canada pavilion. This authentic British pub comes with lively piano accompaniment and beers on draught to compliment traditional pub cuisine in the United Kingdom pavilion. Come and kick back – or lean into the action unfolding on one of the giant TV screens – as hearty, stick-to-your-ribs American snacks and entrees are served in this casual sports-fan atmosphere.